As a grandparent and a pastor’s wife, I have heard so many funny stories about kids in church. One of the funniest involved my own grandson, Robert. His parents had recently moved to a new community and were trying to find a home church. They were a little nervous about walking into a new church as they had two little ones just 1 and 2 years old and were not sure how “kid friendly” the churches in the small town would be. Finding a place toward the back of the church, they settled in with the two babies, the two diaper bags and their Bibles. All was fine through the worship. Then came the sermon. As the pastor was getting into the message, my grandson decided he had been still long enough and began trying to climb out of the seat and down the aisle. As my son-in-law tried to corral him, my granddaughter decided she was unhappy and began to cry at the top of her voice. Seeing all the stares they were getting from the congregation, they grab the kids, the diaper bags, their Bibles and tried to beat a hasty retreat from the sanctuary. Giving a sigh of relief as they made it to the back door, they were mortified as their son reached out and flipped the light switch as they exited the door. Leaving the church in total darkness, they hurried to the car hoping no one had really got a good look at them. Needless to say, they wrote that church off their list of churches to visit again. 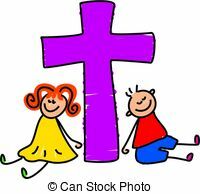 I would love to hear your stories about kids n church. This entry was posted in Christian Life, Family Life, Joys of Grandparenting and tagged Grandchildren, Grandparents, kids in church by Barbara Lane. Bookmark the permalink.